I have a love/hate relationship with white kitchen cabinets. I love how clean, open, and modern they make a kitchen look, but I hate that they show every smudge, drip, and finger print. 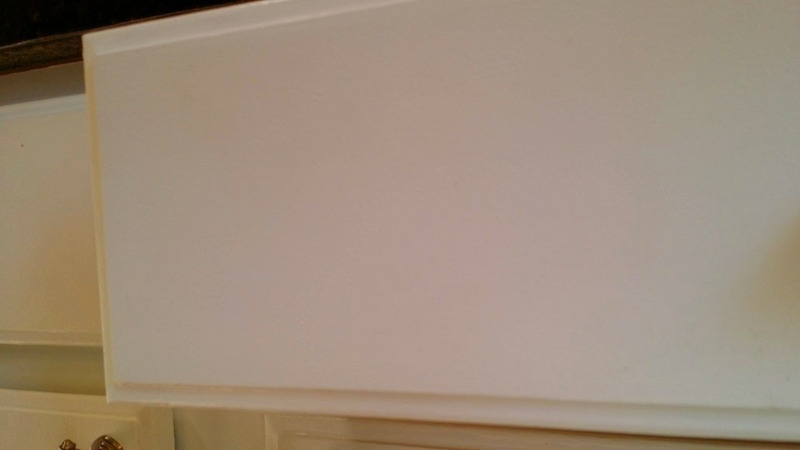 I had white kitchen cabinets in my house in Florida and I was always on the lookout and wiping them down. I swore that I would never have white kitchen cabinets again...ahem. Well, people change, right? It's been a tad bit over 6 months since I finished painting the kitchen cabinets and they have cured and held up WONDERFULLY! No biggie. A little sanding, a drop of primer or two, and a touch of paint will make that good as new. 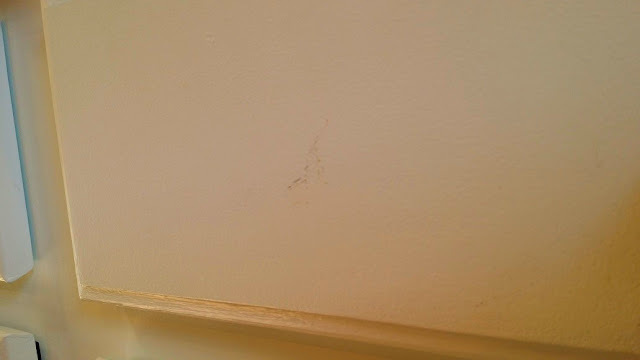 That IS one of the benefits of painting your cabinets though, when you have a scratch, it's easy to fix. If I had taken a chunk out of a pre-fabbed cabinet, I wouldn't be able to match the paint. 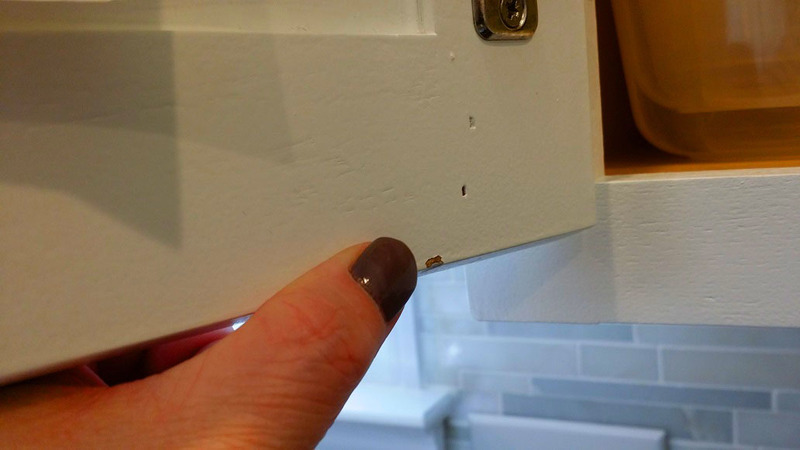 Otherwise, the rest of the cabinets get a scuff or drip here and there. Mostly, I just wipe off with a damp washcloth, but for scuffs from silverware or stainless steel bowls, I VERY LIGHTLY buff them out with a Mr. Clean Magic Eraser. I've not seen any wearing-down/scuffing of the paint when I do this, even if I have to use a little elbow grease on tougher scuffs. That's a benefit of having white cabinets too. 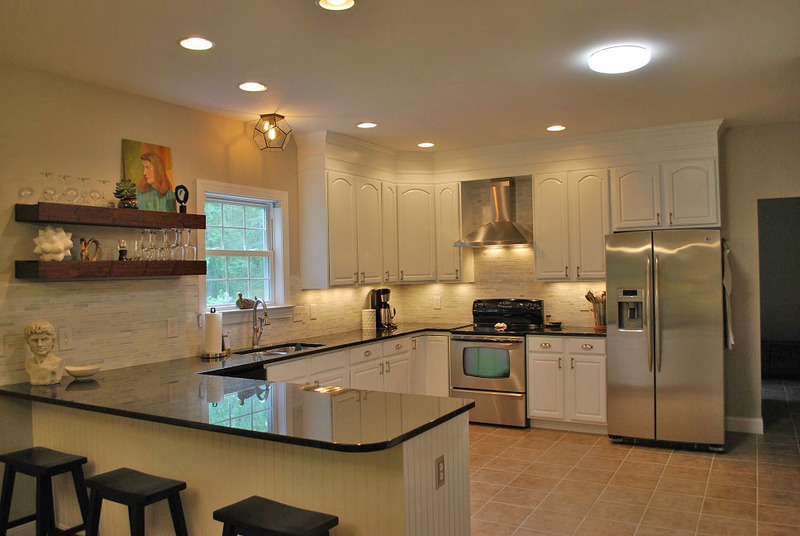 I know others who have painted their cabinets darker colors and have wiped-off scuff marks which later show. I attribute this also to the type of paint you use. 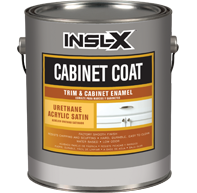 Overall, my husband and I are VERY happy with how the Benjamin Moore's INSL-X Cabinet Coat paint has held up and we've had many compliments. You can now get it at Home Depot too. Would I do it again if I needed to? Absolutely, and may HAVE to depending on what type of house we buy next and where we want to spend money. However, next time I would invest in a sprayer to get that perfect, manufactured finish and to save time.